Want to get eyelid surgery in Miami? The eyes are one of the first facial features to reveal your true age. As we age, our eyelid skin loses its thick, elastic quality and may start to sag or droop. Excess fatty tissue may accumulate and form “bags” underneath the eyes. Eyelid surgery with Dr. Ary Krau is the best way to reverse these signs of aging and refresh the entire eye area. Since the eye area is so delicate, it requires the meticulous approach of a skilled and conscientious surgeon like Dr. Krau. The goal of eyelid surgery is to restore a youthful, rested appearance to the eyes. Dr. Krau accomplishes this by removing puffy bags under the eyes and tightening loose or saggy upper eyelids. Eyelid surgery can also improve the visual field of someone whose upper lid skin has blocked the line of sight. Eyelid surgery is performed on an outpatient basis under sedation and local/general anesthesia. You will not feel any pain during the procedure. Dr. Krau operates in a fully accredited surgical facility staffed with knowledgeable professionals and equipped with advanced technology for your safety and comfort. Depending on your needs, Dr. Krau can treat the upper eyelids, the lower eyelids or both. In upper eyelid surgery, Dr. Krau makes the incisions within the natural crease of the lid. In lower eyelid surgery, Dr. Krau makes the incisions below the lashline. Through the incisions, he removes excess fat and skin, and tightens the remaining skin. If only excess fat is present in the lower lids, Dr. Krau can remove this through an incision in the lower lids with no external incision or scar (this approach is known as transconjunctival blepharoplasty). Additional procedures — such as facelift, forehead lift, chemical peel or laser skin resurfacing — may enhance the results of eyelid surgery. Dr. Krau will review these options during your initial consultation. Dr. Krau will provide comprehensive aftercare instructions for you to follow. You will experience the most swelling and bruising during the first few days of your recovery. Initial mild discomfort is easily controlled with prescription oral medication. Bruising and sensitivity to light last at least a week or two, and the swelling will resolve within several weeks. Dr. Krau will remove the sutures within 5 to 7 days of surgery. You will be able to use eye makeup shortly after your sutures have been removed. You can wear your contact lenses when it becomes comfortable — usually within three to seven days. All surgical procedures have inherent risk, but this risk is significantly reduced when the operation is performed by a board certified surgeon with experience. Dr. Krau has a very low rate of complications. He will review the risks of eyelid surgery during your consultation and explain the steps he takes to minimize the chance of complications. Dr. Ary Krau receives many questions about eyelid surgery. He answers the most frequently asked questions below. What does eyelid surgery improve? If I have had LASIK, can I undergo eyelid surgery? Will eyelid surgery leave scarring? Can eyelid surgery be combined with another facial rejuvenation procedure? Eyelid surgery improves the appearance of the upper eyelids, lower eyelids or both. Depending on the specific needs of the patient, the surgery can involve removing loose skin, tightening the tissues, removing or redistributing fat and modifying the muscles. Eyelid surgery is not painful. Anesthesia is used during surgery to prevent patients from feeling anything. Post-operatively, there may be some minor soreness or discomfort, which can be treated with oral pain medication as prescribed by Dr. Krau. 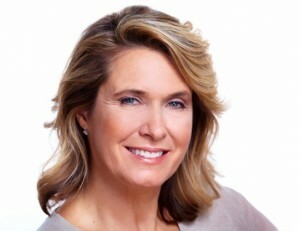 Like other surgical procedures, the cost of eyelid surgery depends on factors such as the problem being treated, the techniques used and whether another procedure is incorporated into the operation. Generally, the more complex the treatment plan, the higher the cost. Dr. Krau can provide detailed information about eyelid surgery costs during a personal consultation. Yes, patients that have had LASIK can undergo eyelid surgery. Dr. Krau recommends postponing eyelid lift at least six months after laser vision correction, because sometimes LASIK can cause dryness on the surface of the eyes. Dr. Krau prefers to wait until the surface of the eyes is stable and in good condition. Every patient recovers at their own pace, but most return to work one or two weeks after surgery. At this point, most of the swelling has resolved and sutures have been removed. Eyelid surgery results are typically long-lasting. Living a healthy lifestyle, not smoking and using sun protection can prolong the results of eyelid surgery. The incisions for eyelid surgery are carefully planned to reduce the amount of post-operative scarring. Upper eyelid incisions are made in the natural crease of the eyelid and lower eyelid incisions are made just below the lower lashline. Your insurance plan may cover part or all of your eyelid surgery if you have loose skin that hangs over your upper eyelids and obstructs your vision. This is considered medically necessary (as opposed to simply cosmetic). It can. Eyelid surgery is commonly combined with other facial rejuvenation procedures such as, facelift, brow lift, facial fat transfer and non-surgical treatment options such as Botox, facial fillers and laser skin resurfacing. To learn more about eyelid surgery with Dr. Krau, please contact our office today. Call (305) 861-6881 or send us an email.